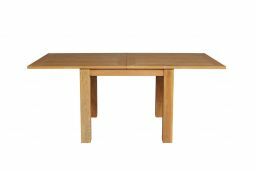 Lichfield square flip top oak dining table. 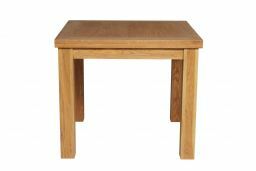 A compact 90cm square table doubles in size in seconds ! 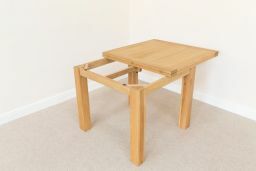 A very simple but clever folding table design that is very popular with customers that don't have the space to store a larger table when not in use. Ideal for small apartments and smaller kitchens / dining rooms. Dimensions: 90cm x 90cm square extending to 90cm wide x 180cm long. 76cm high. Absolutely delighted with table. From the minute I ordered to the delivery date, everything went smoothly. Delivery drivers phoned in advance to tell me when they would arrive. Unloaded table into dining room with ease. Really lovely friendly guys. Assembly instructions easy to read and simple to follow. One very happy customer and would recommend to anyone. 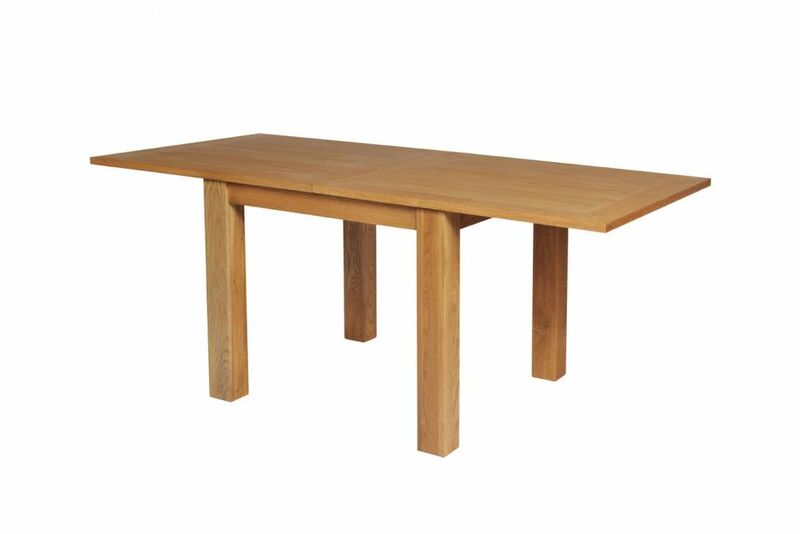 Absolutely delighted with this table. 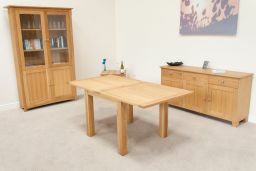 Beautifully made of solid wood, exceeded our expectations. Excellent furniture, excellent service. Highly recommended. Thank you!! Absolutely thrilled with my flip top table, I chose it after a lot of research and its always a risk buying online, but it arrived well packaged, was easy to assemble is heavy, solid and well made. Looks perfect in my new kitchen and opens up easily for extra guests, and no hinges on view like other tables I looked at. Great price too very happy. Excellent product Excellent service as one lady remarked its beautiful. 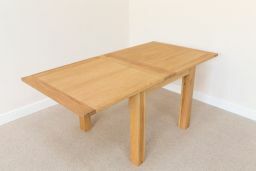 Well constructed table which is ideal size for two to eat at but is fantastic in as much as it doubles in size for family and friend visits. Great finish and colour is even better than that shown on the website. 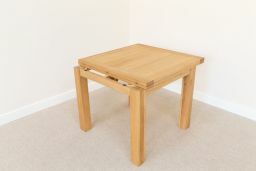 A great value for money table. This table is smart and versatile. 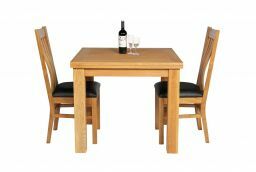 We like the ability to double its size which makes it excellent for family visits and craft work as well as an ideal setting for a meal for just the two of us. The workmanship is good and assembly straightforward. Very pleased with our new table! Compact and neat. Extends to 180cm for when the family come round. 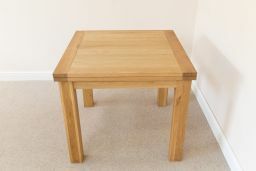 I loved the look of the table online but when it arrived it exceeded my expectation. It is great quality and easy to extend. The table is very heavy but supports the great quality. I would definitely recommend. It is ideal for our new home dining area and coordinates well with our other items. 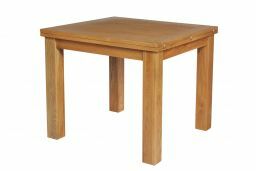 Very sturdy and solid table. Very easy to put together. A good, strong solid product. Solid and easy to assemble. Do need two people to put in upright position but this is due to weight of solid wood. Good colour. Really pleased with the table. Well made, very solid and good looking. I'd seen similar tables at other retailers but this was less expensive but still excellent quality. Am so glad I chose this one! Fantastic table. Really solid and well made. 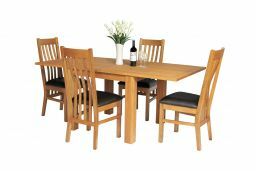 Nice and small when folded but once opened up it becomes a large dining table which will comfortably seat 6 and could possibly seat 8. Delivery was quick and the delivery staff were great. Would definitely recommend. I was very happy with the whole process. 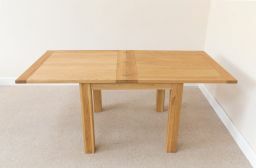 I purchased a folding table and sideboard on the 5th April and it was delivered on 13th April. I was kept informed throughout the process and was given a 4 hour time slot for delivery. The furniture was in excellent condition and only the table needed any putting together (and that was easy). 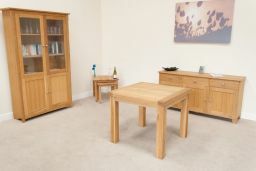 I would certainly use them again and would definitely recommend them to anybody who is interested in buying furniture on-line. The flip-top table I purchased is exactly as I hoped it would be, very good quality. The only complaint that I have is that I was told I would be informed the day before delivery, the approximate time it would be delivered, but I was only informed of the time half an hour before it was actually delivered. Having said this, the delivery people were very pleasant and helpful when I received it. Top Furniture did everything they promised. The table was delivered on time and is a great addition to my home. It's incredibly solidly made. Very pleased. delivery quicker than promised, delivery men very friendly and helpful. - small hole in outer box but contents were fine. very happy with table, solid and very heavy, good quality. Extremely pleased with customer service prior to purchase who answered all my queries & made me feel reassured. 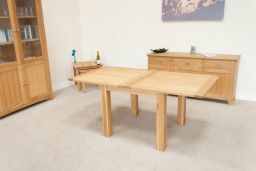 Goods themselves excellent....oak flip top table looks great in my kitchen & I hope to get many years service from it! 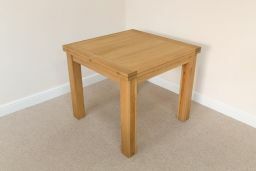 Very pleased with our new dining table. Great service with good communication, via email, telephone and text about delivery, which went to plan perfectly. 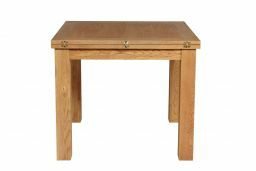 Not the cheapest product, I have seen lots of cheaper priced things in the sales which made me think I had made a mistake but only until our table arrived, it is beautiful! Very good value for a product of such high quality.